A friend of our family passed away from meningioma, so I was pleased to host a guest post about caring for a loved one with this type of brain tumour. First, let’s talk about the science. As a caregiver, understanding the science of meningiomas—while it doesn’t negate the stress that comes with what we do--can help alleviate some of the emotional issues that come up, especially with meningioma patients. 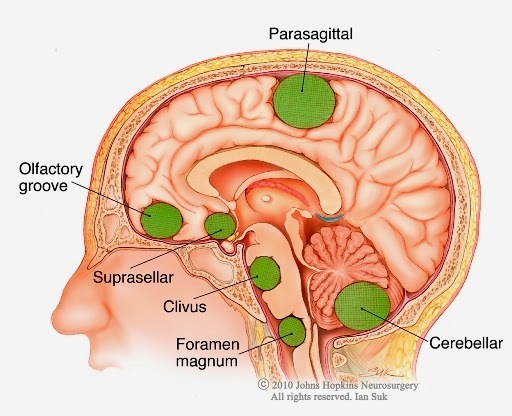 Meningiomas are intracranial tumors that originate from arachnoid cap cells in the thin, spider web-shaped membrane surrounding the spinal cord and brain. Although the majority of these tumors are non-cancerous, untreated and undiscovered, they can slowly grow and, in some locations of the body, can be disabling or even life threatening. According to the National Cancer Institute, meningioma accounts for 27 percent of all brain tumors; and 30.1 percent of all CNS (central nervous system) and primary brain tumors. Genetic factors are the biggest cause for meningiomas, with radiation exposure following not far behind. Some research says that changes to hormones (estrogen and androgen) during pregnancy could accelerate the development of meningiomas. It is also thought that previous head traumas could lead to the condition at the injury site; and viruses could encourage the development and growth of the tumor. They can also be found in places with skull fractures, and those where the surrounding membrane is scarred due to an injury. Most of the time, the symptoms brought on by meningioma are a direct result of the location of the tumor. For example, someone who has optic nerve meningioma will have to deal with vision loss (most commonly in his or her peripheral vision), while someone with an olfactory groove tumor will have issues with his or her sense of smell and, potentially, vision problems. As a caregiver, it is the parasagittal and falx tumors’ symptoms that will most likely impact how you care for and relate to your patient. This is because, depending on which part of the brain these tumors set up shop, your loved one could experience seizures, numbness or weakness and problems with cognitive ability like memory and reasoning. One of the hardest things for someone who is diagnosed with this type of tumor is that, often, it is inoperable. Radiation therapy can help shrink the tumor and slow down its growth but, ultimately, it will keep coming back, symptoms will recur and there isn’t anything that the patient can do about it. That can cause many patients to become very depressed, which is understandable. After all—would you want to have to go through radiation therapy over and over again for the rest of your life? It’s also likely that your patient will be very angry. These tumors, because of how they are formed and where they like to set up shop, are often misdiagnosed when symptoms first appear. Your patient may have spent years dealing with misdiagnoses and failed treatments and they may be looking to lash out at someone. Caregivers are often seen as the safest people to lash out (as you already know!). 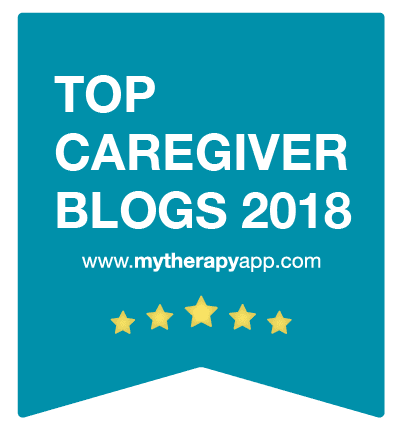 Try to remember that, in some cases—as much as this is cribbed from Grey’s Anatomy—it really will be “the tumor talking.” If you are new to caregiving, this can take some getting used to. It is hard not to take the lashings out of someone personally. Be proactive. The biggest issue with meningioma patients, as already discussed, is that their symptoms reoccur and are often misdiagnosed. Work with the patient’s doctor and family to figure out what is “normal” behavior and what might be a sign that the patient needs to be seen earlier than his or her next follow up. Don’t forget to take care of yourself! 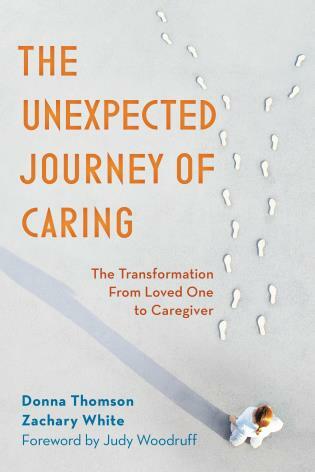 Caregivers—whether professional or family or friends who are taking this on for the first time—often put their own needs absolutely last. But, just like with child care, you cannot offer the kind of care you need to offer if you are operating at a deficit. Use the Cancer.org Distress Assessment to help keep track of your own self-care. 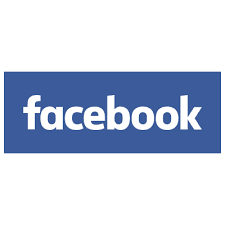 Jan Vespremi is a freelance writer and work from home mother. She loves DIY projects - and always sees them through to the finish. She most enjoys writing about health, crafts, and anything else that sparks her interest.